Samizdat serializes excerpts from the world’s great books, indexing literatures across cultures and epochs. The secret of Samizdat is at the bottom of every page: the tags and the categories. Clicking on them brings up lushly hyperlinked pages sorted by topic, and you sometimes encounter surprising correspondences. Tracing ideas across vast vistas of time, mining connections between scholarly works, I seek synchronicities among national literatures. The tagline, “Illegal and clandestine copying and sharing of literature,” is deliberate. While all materials reproduced on these pages are freely available on the internet, with links provided, in some cases artificial barriers have been circumvented and information showcased. Ideas need to be free, and Samizdat exists to facilitate the unconstrained distribution of data. All copyrights remain with their original holders. To any extent that selecting, sorting, categorizing, tagging, highlighting and illustrating academic material written by others can be considered copyrightable, I surrender all claims, in exchange for a polite credit. When copyright information is present, I attempt to include it. When it is not present, I assume a free use privilege. All original synthesis and commentary by me, unless otherwise indicated, is released into the wild with my blessing. May a million flowers bloom. If data posted on Samizdat is incorrectly credited, or if you can assist with citations or captions that can be refined, corrections will be gratefully accepted. Just hit the comments link at the bottom of every page. All comments must be curated, so if you wish to comment anonymously, or communicate with me privately, just say so, and I will keep your comment unpublished. One purpose of Samizdat is to excavate myth and legend. For example, the Deluge: it is more than mere Biblical myth. While the Flood was an historical fact for the ancient Sumerians, modern scholarship analyzing the King List of ancient Sumeria was long stumped by the impossibly long reigns of antediluvian rulers. Antediluvian monarchs were consequently considered mythic. Then a professor named R. K. Harrison solved the puzzle. Postdiluvian kings are historical. We have their records. While we still have few records antedating the Deluge, we now have lists of rulers and other data that is increasingly looking factual rather than mythic. It also brings to mind, for me, anyway, the Pillars of the Sun and the Pillars of Hercules, which when searched, bring up Jachin and Boaz, and the Pillars of Emerald and Gold in the Temple of Melkarth in Herodotus, and the Pillars of Seth. Now you begin to see what can happen when you start doing searches on this site. I serialize on Samizdat whatever I am reading, and I publish links to Facebook and Twitter. Feel free to read over my shoulder. My personal blog is at Magic Kingdom Dispatch, with accompanying accounts on Facebook and Twitter. I typically comment on the news of the day on Facebook, automatically posting to my Twitter feed, and I break out essays from time to time on my blog. The header graphic changes with my research interests. At this time it depicts a Nisroch apkallū, formerly considered a “Griffin-demon,” which has long mystified Assyriologists. Curious? Do a search on apkallū. Keep in mind that apkallu and apkallē are variant spellings. You will be amazed by the data returned. If you prefer a standard table of contents, the only one available at this time concerns our long digression on the apkallū. I will get this site sorted eventually. You can also hit the Archives link, and get overwhelmed with a plethora of data. Incidentally, there are two ways to view this site. If you just hit the root page at therealsamizdat.com, or click on the top graphic, you will see dated entries without tags and categories at the bottom. To see tags and categories, and likewise the search field, click on the title of any entry. That will take you to an entry view, with all indexing features available at the bottom of the page. I will figure out how to position a search window at the top of every page eventually. I am working on the features of this site, so please bear with me. At this time, I think that the site works best as a ridiculous reading engine, returning whatever I have read and indexed on a subject. I will be bringing a full sitemap and a sorted archive view online, and I will write some introductory essays for some of the broad themes covered by Samizdat. 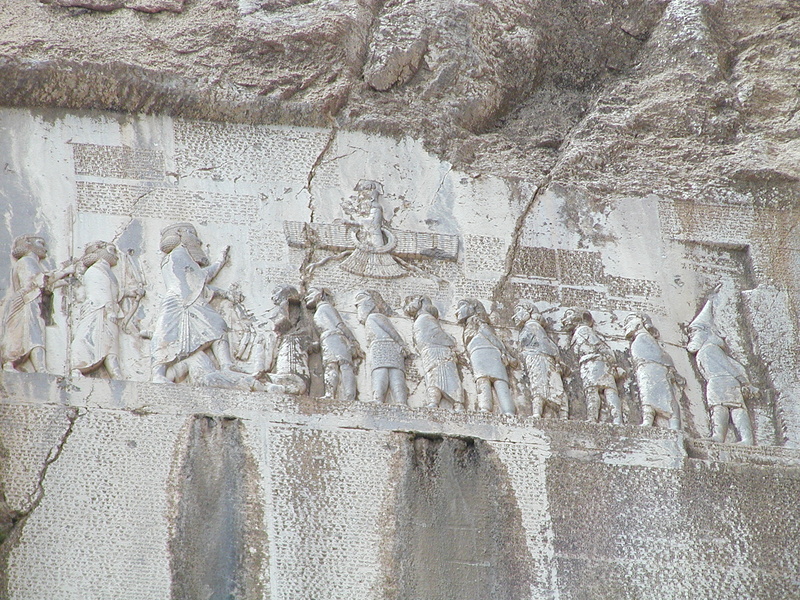 One of the earlier header graphics was the Behistun Inscription. Here is a beautiful pencil drawing of it. 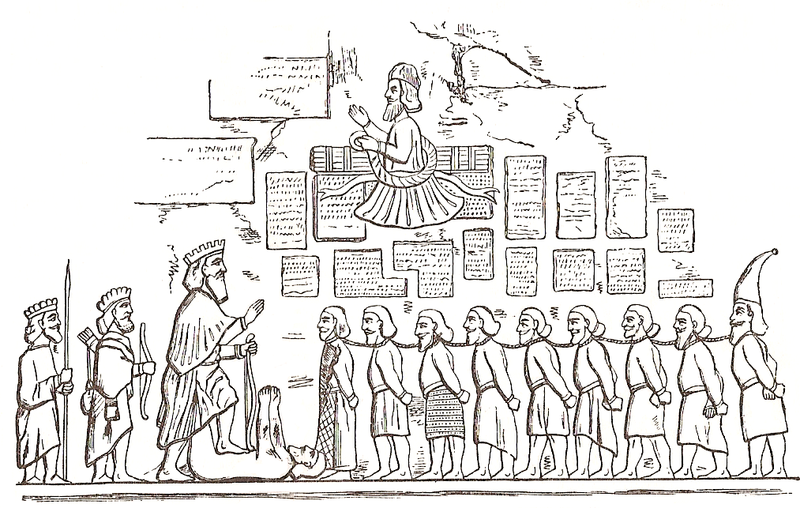 A penciled illustration of the Behistun Inscription. Here is the actual graphic. Here is another view in situ of the actual monument. Here is an even earlier header graphic. Which was cropped from the image below. At that time, I was serializing works from Kabbalah. 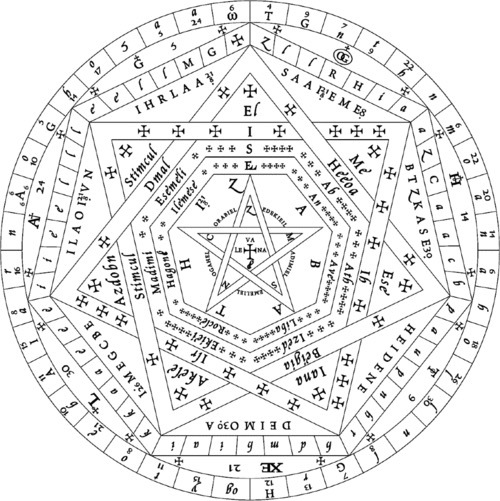 Please keep in mind that the search system is a program, and it has not been taught to conflate Kabbalah, Kabbala, and Qabala, or other variant spellings. Searching on these terms will bring up different results. I tag and categorize as I read, using the spelling present in each excerpt. Sometimes I include variant spellings. Other times, not. I am human. This was the first header graphic, back when I began making this site. 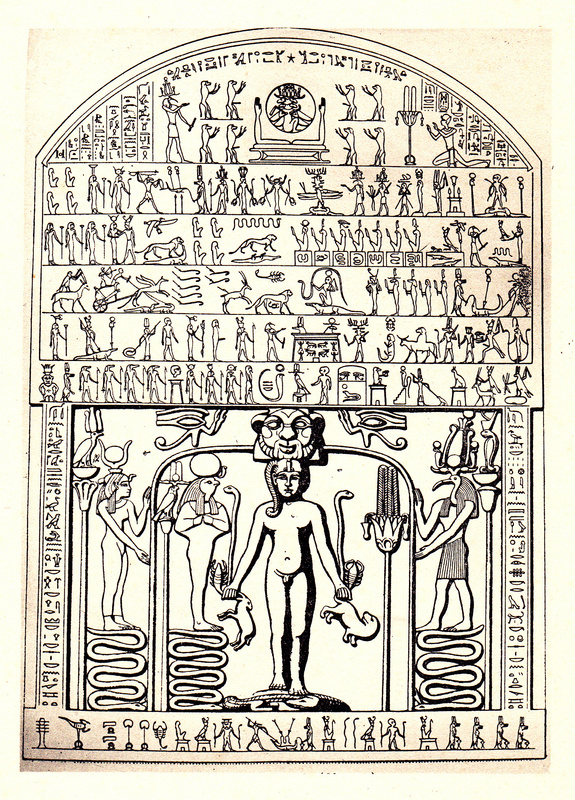 At that time I was reading deeply on the ancient Egyptians, mostly via E. Wallis Budge. It was cropped from this image of the Metternich stele. Reproduced from E.A. Wallis Budge, Egyptian Magic, p. 149.